The Internet runs on content. One of the best investments a business can make is hiring an in-house writer tasked with being the voice of the brand online. Content is critical to successful digital marketing, and with algorithm updates like Panda and Hummingbird, it’s clear Google agrees. That’s why many brands and businesses hire full-time, in-house content writers. There’s no denying a qualified content writer can take your digital marketing to the next level. As a testament, Bruce Clay, Inc. has four full-time writers on staff. “Think of everything that could be made better with refinement by a professional writer. There’s the website and blog, email marketing, everything social media from posts and profiles to customer service and reputation management, marketing collateral including white papers, downloads, press releases, and the kinds of creative content marketing pieces that are the currency of social media today,” said Virginia Nussey, the content and media manager here at Bruce Clay, Inc.
Not just anyone can type out the next Great American Blog Post. Finding the right content writer is a challenge. Make sure they’re educated (we’ve found a degree in English, communications or journalism prepares someone for this kind of work) and experienced (ask for their three best writing samples). 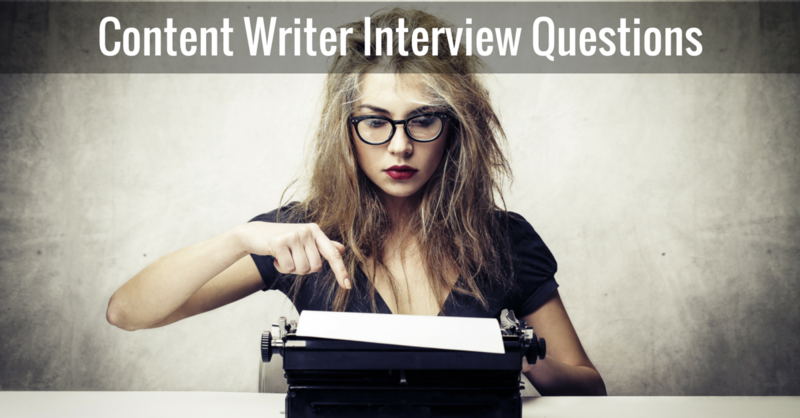 The following questions pulled directly from Bruce Clay, Inc. interviews are great questions to ask during your content writer interview. Questions like these give you a full picture of your prospective writer’s skills. How do you manage deadlines and priorities? How much do you write about our industry? How do you handle writing about “boring” topics? How do you capture a brand’s voice? What is your experience with community management and social media? What are some of your favorite social media tools? What is your experience with analytics, metrics and tracking content success? How do you make content SEO-friendly? What is your approach to keyword research? What is your experience in technical writing? How do you research a target audience? What is your experience with non-text content (images, infographics, etc.)? Are you familiar with the Penguin and Hummingbird algorithm updates? How did they affect your content strategy? Have you considered the advantages of bringing a content writer to the team? Is anything stopping you? Share your thoughts and questions on in-house content writers in the comments. Glad to read this post, your question for content writer is unique. Thanks for sharing this post. I agree that this is a great list of questions to test the copywriting abilities of a content writer. I will copy and paste this list to our copywriting team. But, is it reasonable to expect a content writer to know about the Penguin and Hummingbird algorithm updates? I know so many SEOs, who still have no clue about how to modify their content to suit the Hummingbird update. Glad you liked the list! As to your question about whether or not a content writer should be expected to know about algorithm updates, the purpose of that question is to just get a full picture of the candidate’s knowledge of these updates and, if any, his or her strategy in dealing with them. You’re right — it’s not a make-or-break item. 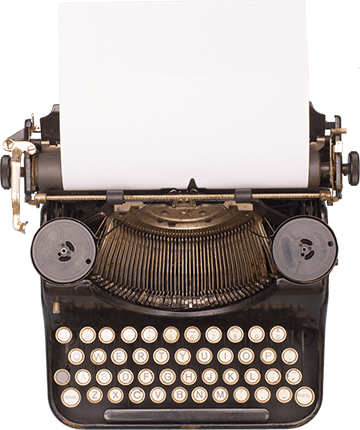 What an excellent post for all people who are looking to hire a content writer. All 15 questions will be helpful to decide who is best content writer for them even a content writer can check how s/he will give perfect answer for these questions and grab an opportunity. This is really useful and helpful for a content writer. Thanks for your great article here and sharing. Useful and minded question for a content writer. Nice Post..
Really very useful questions for the Content writer. May be ask in interview.